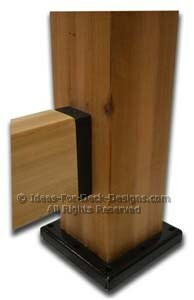 I am trying to decide the best way to secure a nice shaped cedar cap rail over the top 2x4 rail. The deck railing is built. Each railing panel is between a 4x4 post and consists of an upper and lower cedar 2x4 rail oriented on it's edge with aluminum pipe spindles every 4 inches. The cap rail that goes over the top rail is grooved underneath to fit nicely over the 2x4 on its edge. What is the best way to secure or attach the cap rail to the 2x4 without using nails or screws from the top? I don't want to drill any holes on the hand rail surface so I am thinking carpenter adhesive of some sort? 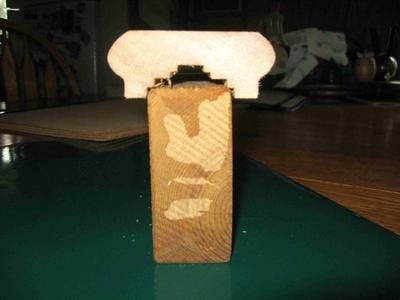 PLP 300 or wood glue or what? Your best bet is probably the PL premium construction adhesive you mentioned. That stuff is super strong when it comes to flat surfaces being fixed together. 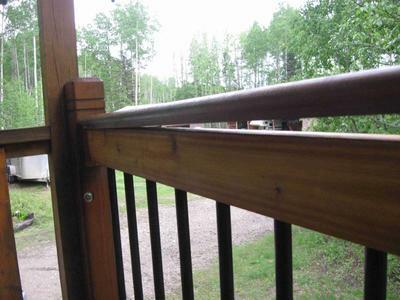 But to complete your railing properly you should still mechanically connect the cap rail to each post and that almost always requires a toe-nailing screw arrangement because the existing deck rail connectors stick out beyond the peripheral shape of the 2x4 whether you orient your 2x4 rail vertically or horizontally. However there is a brand new railing connector available and made by Titan which is a the first totally hidden fastener rail connector that actually matches the side profile shape of a 2x4. It's called the Shadow Rail Connector and when you see it you will understand why. This means you don't see fasteners. You get a super clean straight line looking effect that matches the line of the 2x4 and best of all as in this case you can also use them to connect the ends of the cap rails to the posts as well. You are not limited to just using them for the lower and upper rails. Here's a picture of what I mean. But this image shows the connector in the most common application connecting the rails that hold the balusters to the posts. You can also just flip it sideways and use it to secure the cap rail end to each post. But still use your PL premium glue in the groove underneath to set the top rail.